I know many of us get worried that our kitties tend to climb unto shelves or other tall furniture. We worry that they may fall, am I right? But then, when they do, they always land on their feet. Why though? My fellow cat lovers, I give to you the answer today. First, we have to know why our feline friends tend to climb high a lot. They seem to enjoy it. One of the influences of this is that cats feel more comfortable when they are in a high place as they can see most of their surroundings. Be it looking for food or running away from something. This can also be traced back through history. Early cats were hunters and would climb unto tall trees to escape for safety or wait for a prey. Climbing for cats is a hard wired survival instinct. Before a cat climbs, they usually would stare at the place that they are about to climb as if they are calculating angles on which they can climb on. This is also a sign that they are making sure that the place they are about to climb is secure and fit for whatever their goal is. They say cats can’t fall. Wrong. They still do. But they fall in style. 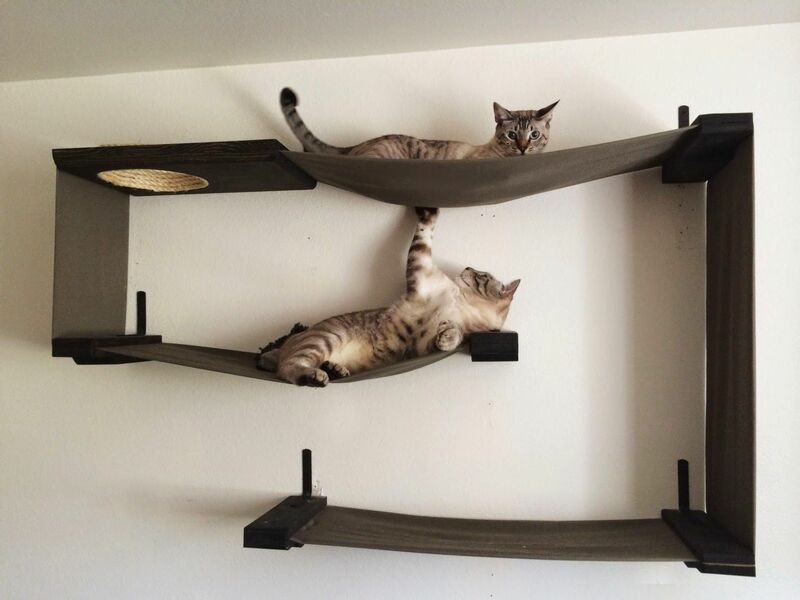 It seems very easy for cats to drop from a very tall shelf or perhaps even from the roof. But it actually takes a rather complicated feline effort to be able to fall in style. Cats have a very good sense of balance and flexible backbones which play the major role in this feline act. They use a balancing system in their inner ear called vestibular apparatus to know what is up from down. They then rotate their upper body to face the correct way and the lower body follows along. Their small bodies, light bone structure, and thick fur also help a lot. These would decrease the speed of the kitty’s fall which makes the impact smooth. Other cats would also flatten their bodies when falling from a high place. This makes their bodies act like a parachute which would lessen the force of the fall caused by gravity and wind. Did you know that kittens can also fall without problems? Most of them are able to master the skill of falling in style when they are 7 weeks old. So our cute kitties are really good at this. No need to worry. But we should be more alarmed if they fall from a shorter distance. A short height may not give our precious feline companions enough time to rotate their bodies to enable them to land on their feet. So be careful about open windows. Birds and other animals can easily distract our kitties leading them to fall from our windows which may injure them if the fall is too short. But then again, who can stop us from worrying if our cute kitties are falling right? But don’t you worry, our feline friends are more than capable of handling this. If we are not there to catch them, they will just fall in style.